This weeks share was bursting from the frame, yet again! 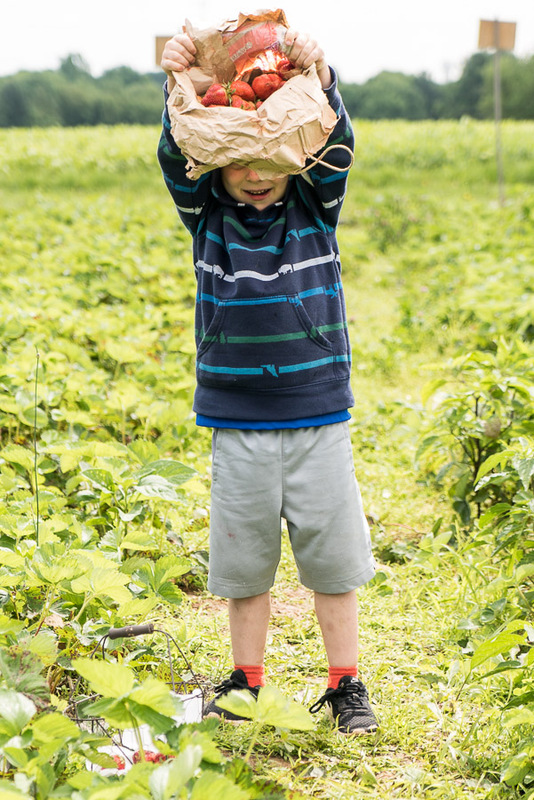 I think it was the extra peas and strawberries my assistant and I picked on Wednesday morning - he didn’t mind skipping morning session of pre-school. 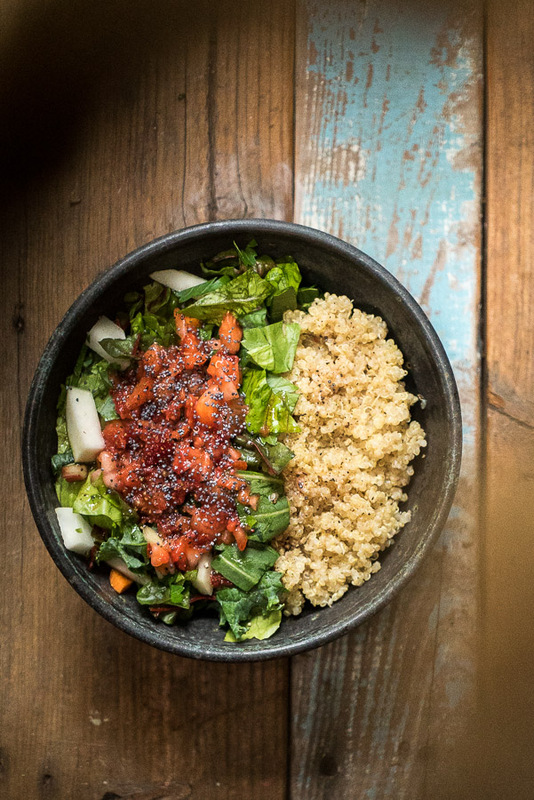 Every week we make a massive salad with all the greens and usually add some protein to the mix, this week it was a quick cup of quinoa. We picked the strawberries after a night of rain, so with Sarah’s warning in mind I whipped up a strawberry vinaigrette drizzle. Invest in a good blender to up your smoothie game 100%. We have a Blend Tech and it makes quick work of nearly anything you put in, just google the “will it blend” videos. This mornings green smoothie was pretty stout: bok choy, kale, berries, flax, almond milk, h2o, and a chia sprinkle. Detox power!